When we are asked, “Who is your brand building hero?” the answer is easy: Elon Musk. He has built and sold brand after brand. He is the classic entrepreneur, taking the money from his last sale and plowing it into a new project, each one more daring than the last. With names like Zip2, PayPal, Tesla, and SpaceX, he’s captured our imagination and returned our sense of hope and excitement about the future. His brands are changing our world. His answer to climate change? Through his investment in the Tesla electric motor car company, he is on track to offer the world a stylish and efficient alternative to fossil fuel that delivers more miles per dollar. Consumers can help reduce their carbon footprint and save money at the same time. There are only a handful of countries that can put a payload into space, but SpaceX, a private company, can do it for even less than NASA. Both of these revolutionary investments were started with the proceeds of the sales of previous ventures. PayPal allowed transactions over the Internet, and before that Zip2, his first company, pioneered the Internet yellow pages with contact information and directions to businesses. But like any entrepreneur, he too faced hardship. He emigrated from South Africa and completed his schooling in Pennsylvania. He applied for his first job at Netscape and was rejected. And he turned down a doctorate program at Stanford to pursue programming his own ideas. 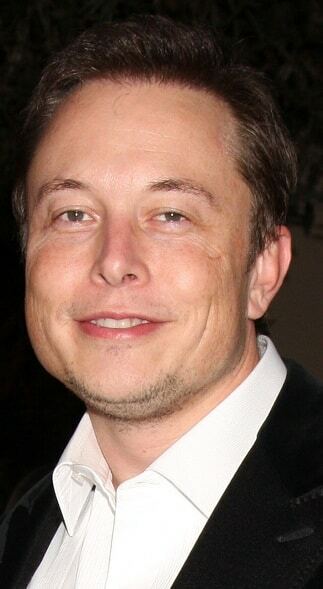 In 2008, he faced the potential collapse of both SpaceX and Tesla, and bailed out both companies with his last dollars. His belief in his companies, along with his tenacity and leadership, got them through our worst recession. Tesla is now delivering more than 600 cars per week, has paid off its government loan nine years early, and has more orders than it can keep up with. And if this is not enough, SpaceX has landed long-term government contracts to supply the International Space Station. He also created SolarCity which threatens to disrupt the conventional approach to electric utilities by offering homeowners a no-down-payment approach to getting solar power. Elon Musk is also building a 5 billion dollar battery plant that promises to increase battery life while reducing cost. These new batteries will help the Tesla and SolarCity brands by storing more power and lowering the price to the consumer. His proposed Hyperloop would transport travelers from San Francisco to Los Angeles at speeds exceeding 750 mph in tubes down Interstate 5. He has plans to launch the first manned SpaceX flight this year and has a long-term goal of settling on Mars. All of this is a result of never taking no for an answer, driving his people to do their best, asking “why?” and not settling for half-baked answers. It’s also a result of standing for more than just the mercantile products he produces. It’s about positive changes to reduce climate change, and it’s about the advancement of mankind. His brands have the promise of changing the world for the better! Elon thinks big – REALLY BIG!